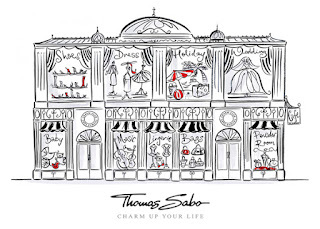 Since we opened our shop four years ago, one of our best selling lines has been Thomas Sabo Charms and Jewellery. At present we are the only official stockists in the county of Bridgend. Thomas Sabo is a fashion orientated silver jewellery brand loved by those in the know. It is a German company and it is primarily known for its charm bracelets. The charm bracelets are popular as they are easily customisable with your choice of charms, be it simple silver charms, gorgeous sparkly charms, or enamel charms in every colour. The charms available are many and varied and are bought to celebrate a life event, holiday or just because! The most popular charm bracelets are the medium link silver charm bracelets, the thick link silver charm bracelets, the black obsidian bracelets and freshwater pearl bracelets. The silver charm bracelets can take a number of charms, whilst the other bracelets can take between one and three charms depending on the size of the silver carrier. All charms have lobster claw clasps to attach to the bracelets easily. My personal favourites are this, open heart sparkly charm this Mum charm and this lucky four leaf clover. Which are your favourite charms? To enter the competition to win this gorgeous black obsidian charm bracelet, follow the steps below and good luck! 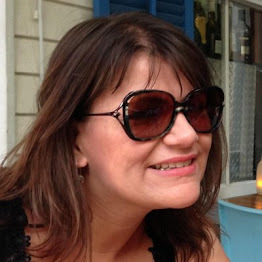 If you are feeling particularly generous and like my blog, please follow me on Google Friend Connect on the right or via email to be kept up to date with reviews, posts and competitions! SHARON FORDHAM - My favourite is http://www.rmawilliams.com/thomas-sabo-flip-flop-flower-charm-0826-4682-p.asp - reminds me of holidays! I love this conch shell charm because I used to live by the sea and am always drawn to beach-related items and indeed nature-related pieces. My favorite charm combines 2 of my favorite things, hearts & birds. I've always wanted a charm bracelet & I can treat myself to a new charm every so often. For some reason the I can't copy & paste the link! 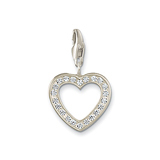 However the charm is Thomas Sabo Love Charm 0672. If that's no good will you let me know & I'll try again. I know which charm you mean as i adore it too! http://www.rmawilliams.com/thomas-sabo-pearl-charm-0558-2688-p.asp I love this pearl charm as its elegant but has the dainty butterfly to go with it. I love butterflys. My favourite is Charms & The City http://www.rmawilliams.com/charms-and-the-city-177-c.asp. A bit of glam to remind me of times gone by! Mine is the four leaf clover too as I need all the help I can get these days. I love this: http://shop.thomassabo.com/GB-en/charm-club/cat/pid/0789-158-11 lucky black cat! me and my hubby are big into horse racing and these are very fitting..
Love this triple ring one. Reminds me of a puzzle ring. I love the Angel charm: Thomas Sabo Angel Diamond Charm DC0019. I'd like it for my daughter so the angel could watch over her. it reminds me of my little Dexter! I love the colour of this and I love amethysts. I love the princess crown it's adorable and I would buy this for my daughter if I was lucky enough to win the bracelet as she is my princess. Keeping it simple, the Garnet birthstone charm. http://www.rmawilliams.com/thomas-sabo-january-birthstone-charm-0133-2471-p.asp My daughter & I were both born in January, and I'm part Czech, where a garnets are very popular in jewellery, so it's really apt for me. And pretty! I love the rabbit charm as I'm mad about rabbits and this this is a lovely little charm. http://www.rmawilliams.com/thomas-sabo-pink-flower-charm-0331-2662-p.asp - is my favourite! this would have to be my choice, my husband used to be in the Navy. love them all but my fave is the http://www.rmawilliams.com/thomas-sabo-cloverleaf-hearts-charm-0790-4089-p.asp as we all need a little extra luck in our lives. Thomas Sabo Black Cross Charm 0408! http://www.rmawilliams.com/thomas-sabo-diamond-cloverleaf-charm-dc0006-3519-p.asp - The 4 leaf clover is very lucky for me. http://www.rmawilliams.com/thomas-sabo-shooting-star-charm-0621-2638-p.asp - I read a book as a child which had a shooting star in the picture on the front, and it was also mentioned in the story. I longed to see one and saw my first one as an adult. I now regularly go meteor spotting. My favourite is the flip flop charm as all I wear in the summer is flip flops!! This is to DIE for! I love this little dolls and collect them as figurines. just love the mum charm!! http://www.rmawilliams.com/thomas-sabo-horseshoe-charm-0787-4066-p.asp i love this lucky horseshoe! My favourite is http://www.rmawilliams.com/thomas-sabo-love-charm-0672-3041-p.asp with a heart and birds. Maneki-neko with four leaf clover, how much more luck could you get? The Sabo fortune charm is adorable! http://www.rmawilliams.com/thomas-sabo-mouse-charm-0737-3801-p.asp I love this cheeky mouse with his chunk of cheese because he is so sweet. http://www.rmawilliams.com/thomas-sabo-love-and-peace-charm-0834-4664-p.asp The Peace and Love charm sums ME up.. I would consider myself a very laid back person who tries to see good in everyone and so love and peace are a big part of who I am! i love http://www.rmawilliams.com/thomas-sabo-horseshoe-charm-0787-4066-p.asp, a horse shoe because i need all the luck that i can get . . .. . . 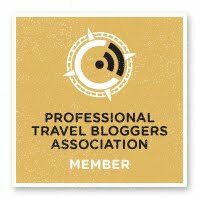 I love the little piglet, I have always loved them since going on a school trip to a farm aged nine ! I love pigs, as my mum was born in the Year of the Pig! Thomas Sabo November Birthstone Charm 0143. apart from being my birthstone the colour yellow always reminds me of sunshine. You cant go far wrong with hearts, and stars, But I do love the little piglet charm in the lucky charms!! I like the red heart and shooting star Thomas Sabo charms. I love the Lucky Thomas Sabo Charm - http://www.rmawilliams.com/lucky-thomas-sabo-charm-0491-2435-p.asp Pearls are really classic & the little clover is so cute! I love the http://www.rmawilliams.com/thomas-sabo-eiffel-tower-charm-0029-2520-p.asp it would remind me of my honeymoon just love it. http://www.rmawilliams.com/thomas-sabo-cloverleaf-hearts-charm-0790-4089-p.asp because I am so lucky to have my famly in my life. I love this small red heart charm, because I think it is simple and elegant. It is a classic Thomas Sabo and I think it represents the brand. I love the Thomas Sabo Strawberry Charm. I think its lovely and colourful and reminds me of my journey of losing weight and becoming a new me, I'm three stone down so far! My favourite s the silver horse head because I'm a farmer's daughter and it's pretty! Have entered in every way possible so fingers crossed - I LOVE Thomas Sabo! I love the Lucky Thomas Sabo Charm 0491 because it is dainty, feminine, and so pretty..